You can easily hack Windows Password with Ubuntu. 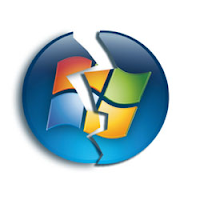 You may need to reset an admin password in windows (NT/2000/XT/Vista) for many reasons, such as you have forgotten it or you need to repair and don't have access to the admin password. You can Easily Reset Windows password with Ubuntu. A little knowledge in Command Line , An Ubuntu Live CD. And a Wonderful package called chntpw. Then you need to locate (use your Command line Skills) SAM file which for Windows 2000 and XP is normally located at windows/system32/config or winnt/system32/config. it is recomended to reset the password to BLANK. rsync is an open source utility that provides fast incremental file transfer. rsync uses the "rsync algorithm" which provides a very fast method synchronization of two server. Grsync is the Graphical Front-end for rsync. 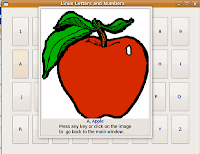 GTK letters-learning game for small children . It is specialy made for children 2 and up, and is a learn with fun game. It helps younger children learn their letters and numbers, while older children will improve their spelling, and vocabulary skills. It will also helps your kids to develop important keyboard and mouse skills too. Some times we need to hide apache banner information, because hackers check version details, before attacking a sever, If you close this door, it is more difficult for them to exploit any system holes and thus making vulnerability scanners work harder and in some cases impossible without knowing version information. 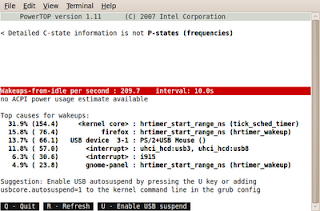 Since version 2.6.21, the Linux kernel has introduced a feature called tickless. the kernel no longer has a fixed 1000Hz timer tick. This will give a dramatic power savings because the CPU stays in low power mode for longer periods of time during system idle. A Nice handy tool, PowerTop has been created for reducing the Power Usage of Linux. This application will help to find the software components that are preventing optimal usage of your hardware and give proper suggestions for both hardware and software configurations to reduce power consumption of your system. So Now Your Ubuntu is energy Efficient.It is very useful for Laptop Users. Or You can use Synaptic Package manager and select package powertop. In Ubuntu You can start from wherever you left off. Yes, you can make Ubuntu remember the applications you had open when you last logged out, so that when you log back in again you can find all those applications running and you can resume right from where you left off. To achieve this facility go to System -> Preferences -> Startup Applications, then go to the options tab and check "Automatically remember running applications when logging out"
Press Alt+F2, then open a run window, then type gnome-power-statistics, Now you can see a graph which shows the usage of power over the time since it booted up (it depends on ur hardware support). Lost my Skype password. How can I retrieve it? If you have forgotten your Skype password, No Problem, you can request for a new password Click Here. and enter your email address, new password token sent to the email address you used to originally register with Skype. Now you will receive an email containing a link to skypes's secure website and a token to change your password. The token will be valid for 6 hours from the time of generation. If you do not use it within this timeframe, you will have to request another one. If Your registered is also forgotten ? Now you will need to contact skype customer support with the following details. They will attempt to verify your account and make the appropriate changes. - The date of your last purchase of a Skype product. - And the last two phone numbers called using your Skype Credit. There is not an application like Windows Device Manager Ubuntu. Gnome-Device-Manager is the Ubuntu equivalent for the Windows Device Manager application. it's not installed by default. Gnome Device Manager is a front-end, or GUI, to the HAL daemon service. HAL continuously polls the system message flow or "desktop bus," which is also known as "D-Bus. ", D-Bus listen for messages about hardware events from the Linux kernel. Example , that a pendrive has been inserted. Applications → System Tools → Device Manager. The main difference between GET and POST is how the form data is passing. Both are used for passing form field values. All the values which is submitted by the GET method will be appended to the URL. In GET Method we can bookmark the URLs where as in POST method its not possible. Some firewalls doesn't allow POST methods. GNOME (GNU Network Object Model Environment) is a desktop environment created for the operating system GNU / Linux Desktop Environment is recognized as the official GNU project. With the announcement of version 3.0 was introduced GNOME-Shell, which integrates various functions into a 'single window. The desktop area is divided into several parts depending on the activities and workspaces is dynamic: you can add or remove workspaces and you can move any applications in different areas of work, as already happens with Compiz. Now you can see How to install GNOME on Ubuntu 9.10-Shell Karmic Koala. First you have to install all the dependencies needed to successfully build and run gnome-shell. GNOME-Shell is still under development and therefore very unstable. 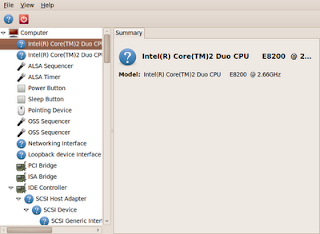 Try it in your Test machine or in a Virtual machine. If you are applying a DC unregulated power supply to Microcontroller projects , you need to regulate it using a fixed regulator. Lot of my friends are asking which capacitor we need to use in input side and output side. Here you can see a typical voltage regulator circuit, you can use in microcontroller cuircuits. Aircrack-ng is an 802.11a/b/g WEP/WPA cracking program that can recover a 40-bit, 104-bit, 256-bit or 512-bit WEP key once enough encrypted packets havebeen gathered. 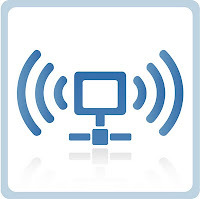 Also it can attack WPA1/2 networks with some advanced methods or simply by brute force. $ sudo sh -c "echo 'deb http://ppa.launchpad.net/ubuntu-mozilla-daily/ppa/ubuntu karmic main' /etc/apt/sources.list"
VirtualBox is a powerful x86 and AMD64/Intel64 virtualization product for enterprise as well as home use. It is freely available as Open Source Software under the terms of the GNU General Public License (GPL). 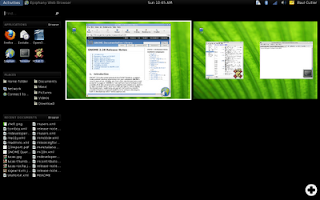 VirtualBox runs on Windows, Linux, Macintosh and OpenSolaris hosts and supports a large number of guest operating systems. You can test your Alpha and Beta releases. It supports USB and Serial Ports. For Intalling Non-Free applications Like MP3, DVD, MPEG, Binary Drivers, etc, in Fedora 12 You have to inatall a third party repository. The recommended repository for Fedora is: RPMFusion. Like apt in Debian /Ubuntu , Fedora uses yum to install and update its softwares from Internet. When connected to the internet it will automatically determine application dependencies. While lot of plugins are available for yum . Fedora 12 and newer enable yum-presto which should try to download only updated portions of packages instead of the full package during updates. Some experianced users use the fastestmirror plugin which find faster sources for speeds up downloads. 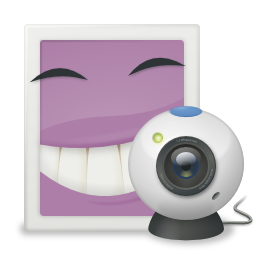 Cheese is a very good Utility for the GNOME Desktop which used for take photos, videos, and anything else you can think of with your webcam. Just start it up and shoot! Gather all of your friends around, have some fun! Cheese uses GStreamer to apply fancy effects to photos and videos. It also allows you to take videos. Effects, sharing.